A Bardstown resident, Mrs. Anna Bell Curtsinger, 79, passed away Sunday, December 2, 2018 at Signature Health and Rehabilitation of Bardstown. 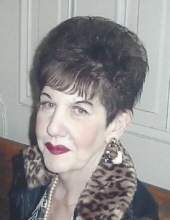 She was born on October 8, 1939 in Nelson County to the late Richard Lee and Josephine Middleton Curtsinger. Anna was a homemaker and was a member of Cox’s Creek Baptist Church. Besides her parents she was preceded in death by her husband Jesse Frank Curtsinger, 4 sisters, Evelyn Witt, Bessie Hawethorne, Dessie Hawethorne and Mary Taylor, 3 brothers, Charles, Earl and James Curtsinger. She is survived by her daughter Brenda Burba of Dayton, OH., granddaughter, Holly Ann Burba, 2 brothers, Clarence Curtsinger of Bloomfield, Richard Curtsinger of Bardstown, 1 sister, Kathy Horton of Bedford along with several nieces and nephews. Funeral services for Mrs. Anna Curtsinger will be 3:00pm Wednesday, December 5, 2018 at the Houghlin Greenwell Funeral Home with Bro. Doug Simpson officiating. Interment will be in Bardstown Cemetery. Visitation will be Wednesday from 2:00-3:00pm at the Houghlin Greenwell Funeral Home, 1475 New Shepherdsville Rd., who is in charge of arrangements. To send flowers or a remembrance gift to the family of Anna Bell Curtsinger, please visit our Tribute Store. "Email Address" would like to share the life celebration of Anna Bell Curtsinger. Click on the "link" to go to share a favorite memory or leave a condolence message for the family.